Designed for added security in conjunction with GTO/PRO, Mighty Mule Estate Swing, Zareba, and Apollo gate openers. The gate lock unlocks and locks automatically when the gate opens and closes. The perfect solution for high wind conditions and added security. Black power coated steel housing proven to withstand 3500 lbs. of force. Recommended for gates over 8 feet long and installations where high winds are common. 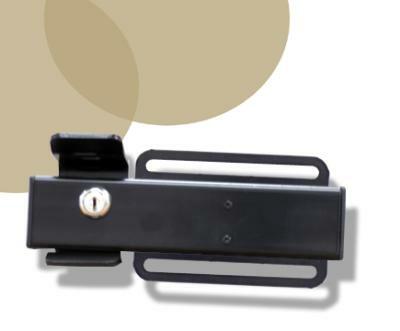 Stabilizes and secures the gate in the closed or open position. Simple installation, wires directly to all gate operators. Battery backup provided by existing gate operator batteries. Fail secure system with keyed manual over ride release. Bolt on or weldable hardware included.